HOLLYWOOD CHOIRS is a brand new, ground up, choirs virtual instrument from Doug Rogers and Nick Phoenix, the producers of Symphonic Choirs, the best-selling and most awarded virtual choir of all time. 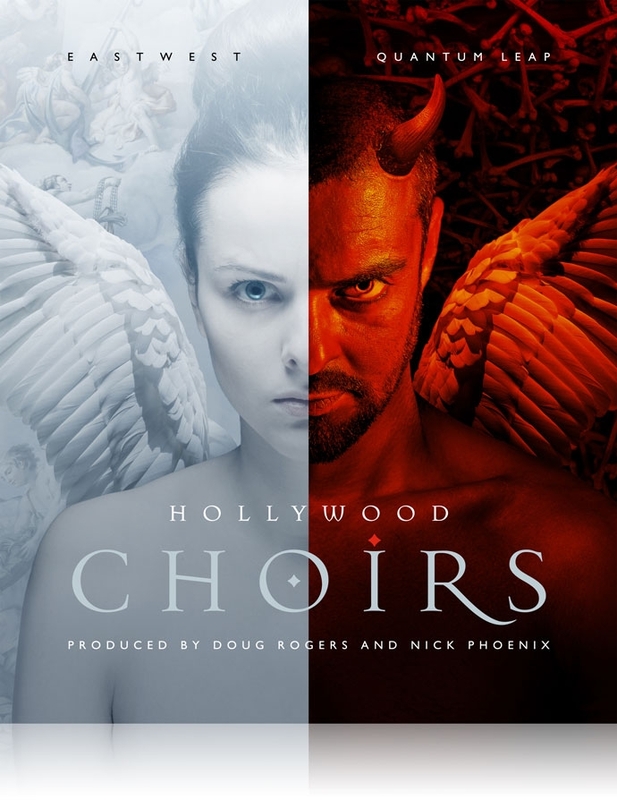 HOLLYWOOD CHOIRS features a blockbuster female and male choir with unprecedented dynamics that will instantly transform your next project into a cinematic masterpiece. HOLLYWOOD CHOIRS also includes a new improved WordBuilder plugin. WordBuilder allows the composer to type in any word or phrase and have it sung by the choir. 26 additional phonemes were recorded for Hollywood Choirs compared to it's predecessor Symphonic Choirs resulting in improved realism and support for more languages. For convenience you can now sync WordBuilder to your DAW so it follows the track. The new group Instrument loading avoids having to load up to 13 Instruments, and there are many more incredible under the hood improvements resulting in an easier to use superior tool. 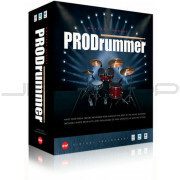 HOLLYWOOD CHOIRS includes 110 new editable pre-built WordBuilder phrases in English, German, and Latin that are exclusive to this product, and that can be quickly and effortlessly dropped into your mix or used as a starting point to create your own custom phrases. HOLLYWOOD CHOIRS Diamond Edition includes a 13 microphone user-controllable setup (including a Neumann Dummy Head) designed for surround sound and virtual reality, an essential feature for film, TV, and game composers. HOLLYWOOD CHOIRS delivers that powerful, blockbuster sound that all composers are seeking and opens up new 3D soundscapes that will help create incredible and emotional journeys for your audiences for many years to come. "This is the third choir EastWest/Quantum Leap has recorded," says EastWest producer Doug Rogers, "we learnt a lot from the previous productions and Hollywood Choirs is the culmination of that experience. In particular, the choirs' ability to sing any word or phrase has been significantly improved resulting in more realism; and there are many more sound options to enable the user to sculpt the sound to their requirements." An iLok key is no longer required, but an iLok account is required for a machine-based (electronic) license to be placed on your computer. Optionally, you may also place the license on a iLok hardware key (not supplied) for portability. An internet connection is required for a one-time product activation. Diamond Edition of Hollywood Choirs contains approximately 59 GB of 24-bit, 44.1 khz samples, featuring 5 Microphone Mixes: Main, Close, Stage, Mid, and Surround. Gold Edition of Hollywood Choirs contains 8 GB of 16-bit, 44.1 khz samples, featuring the Main Microphone Mix. ComposerCloud Gold X Edition of Hollywood Choirs is 16 GB of 16-bit, 44.1 khz samples, featuring the Main and Surround Microphone Mixes.